Taking on a regional flight soon? If you will be taking off and landing on slightly challenging fields, the Yak 40 can certainly ensure you’ll have a sturdy, relaxing trip. The aircraft has a space equivalent to 36 passenger seats. Its interiors are also customized for VIP passengers to have a relaxing ride for an hour or so. The Yak 40 also functions as a three engine plane, and a whole lot of variants followed its design for the past 50 years since it was first flown. As you charter for a private trip aboard the Yak 40, you’ll also get to see its spacious cabin which can readily cater for your luggage. It’s also advisable to clarify its facilities which are particularly customized, based from your service’s initial preferences. These include the exact settings of your in-flight entertainment, your seats’ layout and their corresponding panels. There are private charters which include pull out tables to cater for your meals or a laptop so you may work while on board. The Yak 40 can be customized to include a mini bar on top of a fully functional galley. Should you need to unwind and take a breather while you’re in flight, this plane can be customized to fit your flying preferences. Some standard, VIP Yak 40s have built-in stairways, dressing rooms and soft seats. However it is necessary to coordinate with your charter service, so you may further check on the facilities which can be improved on and adjusted. As a regional plane, the Yak 40 amazingly lands and takes off even on slightly less stable runways. Perhaps your airport does not have asphalt made strips, plus if it’s way above sea level. 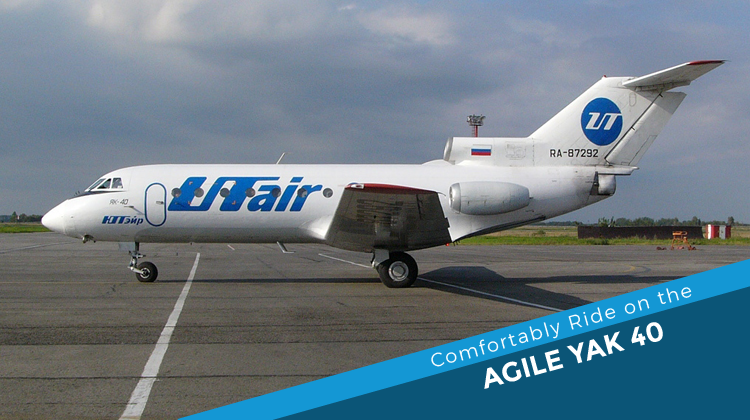 Either way you can trust this plane can still enable you to glide along the skies. It can even fly even on high temperatures. Are you going on a skiing vacation or perhaps your business conference will happen to take place in a chilly venue? Then you can still rely on the Yak 40 to take you there. If you’re coming from Ontario, you can reach as far as Hamilton in Bermuda or even New Orleans in Louisiana, United States, aboard the Yak 40. Confirm about how many of you will be flying, along with the luggage weight you’ll be bringing. This way, you can have a better idea of how you can speedily reach your destination given your plane’s capacity and efficiency in performance. 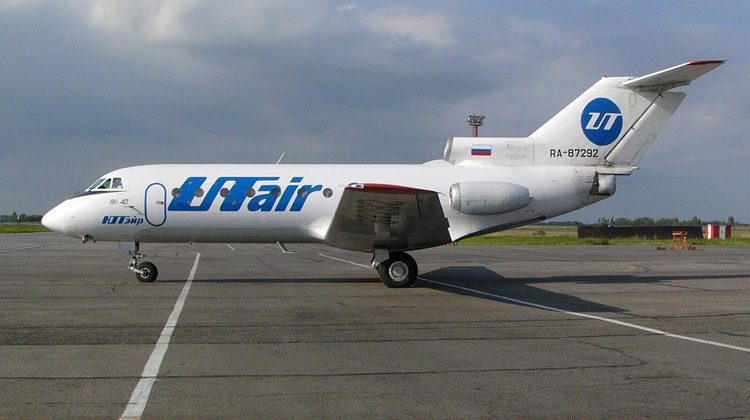 Manufactured by Soviet Union based company, Yakovlev, the Yak 40 is considered to be the first trijet in the world. The Soviet state found the need to improve their turbo prop based and piston powered planes. Their services were also flown on grassy air fields, so they needed to have planes which are more agile to fly on challenging strips and colder weathers. Since the Yak 40 got introduced over a thousand units were produced along with the plane’s over a dozen variants to fit different applications. Today, over 30 countries have the aircraft in operation for military and civilian purposes.